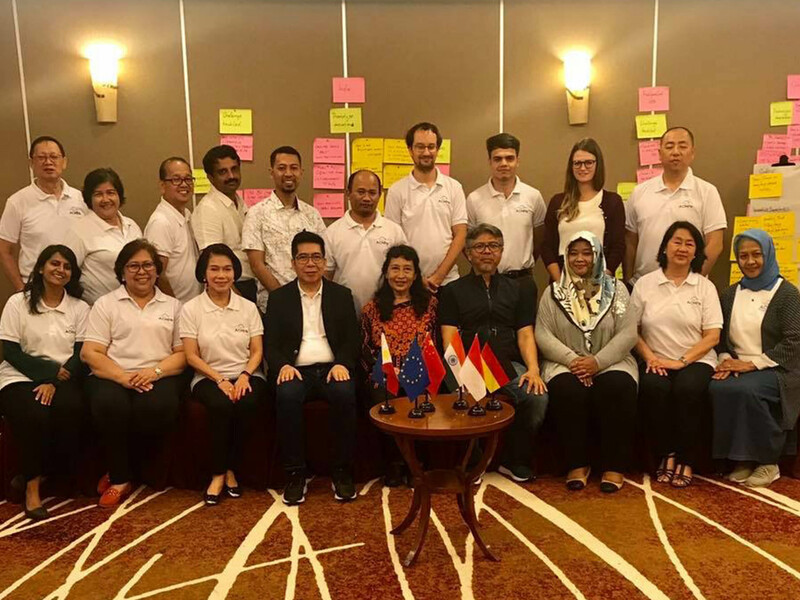 The ACMFN project management office (PMO), headed by the ADFIAP Consulting (AC) Group, conducted a year-end project review and planning workshop on November 11-12, 2018 in Bandung, Indonesia together with its Germany-based partner-organization, adelphi and the (3) National Focal Partners (NFPs) from China, India, and Indonesia. This was held back-to-back with the “ACMFN Cleantech MSME Finance Forum” and the “Bandung Green Festival” (please see related stories) held on November 9-11, 2018 also in Bandung, Indonesia. The Asian Cleantech MSME Financing Network (ACMFN) is a four-year project co-financed by the European Union (EU) that aims to build and leverage a cleantech financing eco-system to spark improved access to finance for Asian cleantech enterprises and enhance sustainable consumption and production patterns in Asia. ADFIAP is the lead implementing institution of the project supported by its partner-organizations, adelphi, Indonesia’s Perkumpulan untuk Peningkatan Usaha Kecil (PUPUK), the Confederation of Indian Industry, and China Electronic Energy-saving Technology Association/Green Start-ups, China. The objectives of the planning workshop were to: (1) assess the status of the prototypes agreed during the Beijing mid-year planning workshop and report on any new elements added to advance the existing prototype focusing on the critical factors in the implementation of the project (2) discuss concluding activities/actions for 2019 with focus on strategies and actions plans for attaining the remaining deliverables based on prototype solutions (3) determine catch-up strategies for 2019 and sustainability action plans by the NFPs (4) review the financial performance and presentation of fund balance per NFP as of June 30, 2018 and projected balance as of December 31, 2018 and discuss indicative budget that would support the implementation by each partner of the catch-up activities to achieve the committed project results by year 2019 and (5) End-of-project financial closure activities.